The New Institute, the Netherlands’ new national institute for the creative industry, invited The Mobile City to help it develop an ongoing dialogue around the concept of smart cities between Chinese and Dutch architects, media makers and designers. Architects, planners, media makers, designers, community organisers, local governments, entrepreneurs, researchers and artists are invited to participate in the two-day workshop Made by Us @ BJDW. It will explore how the innovative design and use of digital media technologies can engage “smart citizens” with postindustrial heritage and the reuse of former factories. The workshop is part of Made by Us, a programme of events relating to new media technologies, smart and social cities and postindustrial heritage. 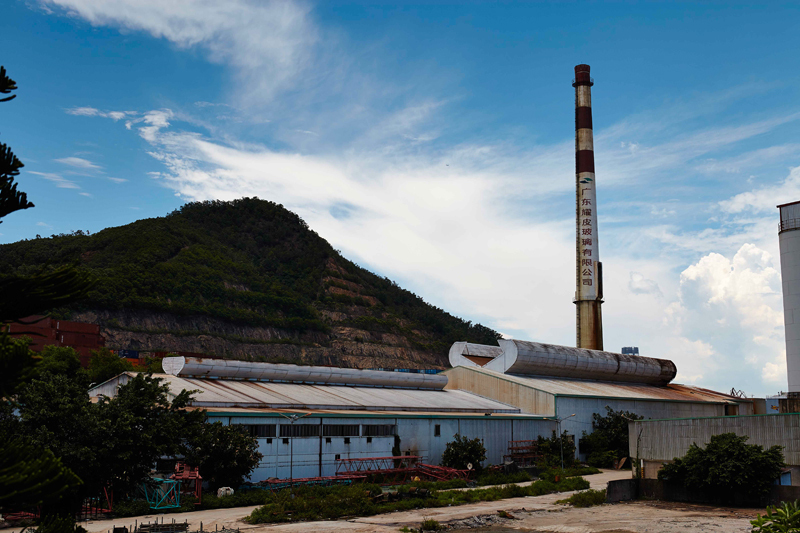 In a half-day mini-symposium and a two-day workshop during Beijing Design Week 2013, participants from various professional and national backgrounds will team up with stakeholder organisations to address the reuse of former industrial plants. We will be working with the Capital Steel Factory, now being repurposed into a creative industry park, as a target location. The challenge is to help design smart media interventions that will engage stakeholders in postindustrial heritage planning for the abandoned factory. The need to meaningfully repurpose former factories is perhaps even more pressing in China than elsewhere. This is partly because of the country’s sheer number of heavy and manual industrial plants and partly because the fluctuating demands of the international economy, shifts in labour and environmental regulations, and high worker mobility force frequent adaptation. How can we use digital media technologies to highlight the need to repurpose postindustrial heritage? Can we create awareness of these places’ spatial, functional and social qualities among stakeholders and the general public? And, most importantly, can we design new media interventions that will involve “smart citizens” as makers and owners instead of mere spectators? By focusing on ownership as a design approach, we hope to contribute to smart city debates in China and elsewhere. We will use the notion of ownership not in an exclusive sense (i.e., that of proprietorship) but in an inclusive one, defining it as city dwellers’ feeling of responsibility for and involvement with their surroundings, their fellow citizens and changing urban conditions. How can we engage new publics and enable them to act on shared issues in the city, such as the repurposing of vacant factories? The workshop is part of the project Made By Us, developed by The New Institute (the Netherlands’ new national institute for the creative industry) and the research group The Mobile City in partnership with Chinese organisations including CMoDA. In Made By Us, Dutch and Chinese media makers and designers will work together in a six-month programme to develop a participatory approach to postindustrial heritage planning using digital technologies. The programme aims to promote the exchange of knowledge, culture and market relationships between China and the Netherlands. Three creative makers have been invited to create a new media product and design process to foster awareness, a sense of place and a feeling of ownership of the former factory among the public. They are the augmented reality artist Sander Veenhof, Niki Smit of the Monobanda game studio, and Mark van der Net of OSCity.nl. The project will lead to a series of interventions for the former Guangdong Float Glass Factory, one of the locations of the fifth Bi-City Biennale of Urbanism/Architecture, taking place in Shenzhen in December. The Made By Us programme is funded in part by the Creative Industries Fund NL (stimuleringsfonds.nl/en/). Because the issue of repurposing former factories is complex, heterogeneous teams will be formed to tap into the greatest possible diversity of knowledge and experience. Teams will be divided between the three Dutch creatives, each of whom will draw on the approach of his respective speciality – augmented reality, sensing and mapping, or playful interventions – and act as a sounding board for the team. Teams will operate independently and have freedom to develop their own ideas and prototypes. The workshop programme will be structured as an iterative process in which the original question will be revisited and ideas tested. After two days, the workshop will yield a rough prototype for an intervention (a product, service and/or methodology) addressing the issue at stake. To optimise the use of the time, participants will be briefed in advance. Outcomes of the workshop will inform the subsequent process of Made By Us. The workshop will offer participants a chance to work on urban issues in multidisciplinary teams. You will bring your expertise, skills and enthusiasm, and we will give you the opportunity to tackle a real-world problem while innovating with new media. You’ll be able to network with an international group of professionals and experts. You’ll collaborate in a diverse team as you work with a complex, real-life urban problem. You’ll meet representatives of stakeholder organisations interested in using digital media in urban design. A public presentation of workshop outcomes will take place on Sunday 29 September atCMoDA. A mini-symposium will take place on Thursday 27 September at CMoDA. Your biography and photo will be posted on the website, as will reports on the workshop’s process and outcomes. Reports will also be published on the event organisers’ websites. What do we ask from participants? You should have a background in or strong affinity with disciplines like urban design and strategy, digital media, software development, service design and/or social innovation. You should enjoy working in teams composed of people from various professional and national backgrounds. You should be proficient in English. A motivation letter (max. 350 words) explaining why you want to participate, what you’d bring to the table, and what you hope to get out of the workshop. A short curriculum vitae/biography (max. 200 words), a photograph of yourself (to be posted on the website if you’re selected) and your contact details. Send in your proposal by 11pm CET on Wednesday 11 September to workshop@themobilecity.nl (extended deadline). A shortlist will be made by Friday 6 September and communicated to applicants. We will admit a maximum of 21 participants overall (max. seven per team). The selected participants will receive a briefing containing further information on Monday 9 September. Practical arrangements can be made and assistance given in the period leading up to the workshop and symposium. The events listed below are subject to change. This half-day mini-symposium will address the theme of smart and social cities and the specific issue of industrial heritage and redevelopment. It is part of the CMoDA’s smart cities events programme taking place during BJDW. We will introduce the theme, divide into teams and get to know each other. We will then visit the Capital Steel Factory to meet local stakeholders and discuss the case in depth. The teams will conduct research and begin the ideation phase. The day will close with a group dinner. An expert will give an inspiring talk on the use of digital media to tackle urban issues. We will then begin with research and analysis before narrowing our focus to ideation and concept formation and then finally to the creation of a rough prototype. Participants will also prepare a public presentation of their work. After a group dinner, the teams will present their outcomes and receive feedback from a small number of experts. We will end the evening with drinks. The New Institute arose on 1 January 2013 out of a merger between the Netherlands Architecture Institute; Premsela, the Netherlands Institute for Design and Fashion; and Virtueel Platform, the e-culture knowledge institute. The New Institute works with private and public organisations at the local, regional, national and international levels, functioning as a vital link between economics and culture, politics and society. The Mobile City is an independent research group founded by Martijn de Waal and Michiel de Lange. The Mobile City investigates the influence of digital media technologies on urban life, and the implications for urban design. The Mobile City frequently collaborates with organisations and individuals from various disciplines who share this interest. The China Millennium Monument Museum of Digital Arts (CMoDA) is a Beijing-based cultural incubator dedicated to digital art and design. As China’s first comprehensive art centre specialising in digital work, CMoDA is striving to build an interactive, experiential, integrated digital and physical collaborative innovation platform via exhibitions, screening, educational exchange and digital creative incubation. For more information about Made by Us and the workshop: http://themobilecity.nl/madebyus. The factory is the former location of Shougang Company Ltd, a pig-iron plant founded in 1919. 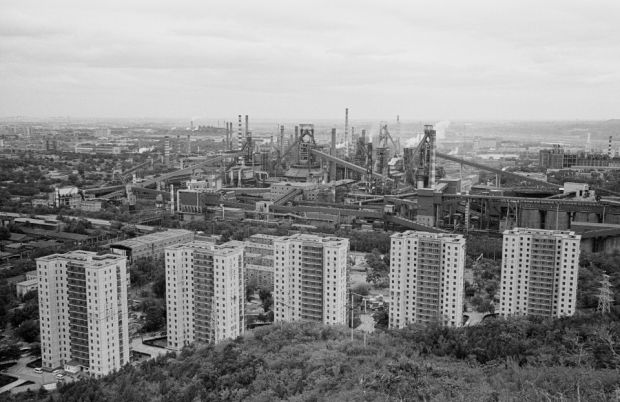 It became the largest steel mill in China, sprawling from the suburbs over 8.56km2, the size of 2.7 Summer Palaces. At its peak in the 1990s, it had an annual output of 10 million tons and offered “iron rice bowl” jobs to more than 200,000 workers. Nowadays it attracts tourists and photographers for its magnificent displays of urban decay. The factory is located in Wujiacun Lu in Shijingshan District (source: http://www.thebeijinger.com/directory/capital-steel-factory). Download the Call for Participation – Made by Us @BJDW (pdf ). Back to the main Made By Us page. The program Made By Us is partly funded by the Creative Industries Fund (http://stimuleringsfonds.nl/en/).